Discussion in 'Leaguegaming Hockey League (LGHL PSN)' started by LG McDonald, Apr 19, 2018. This thread is dedicated to the official statements in regards to situations that occur here on LG. For many seasons the community has had some unanswered questions in regards to high level decisions made here on LG. If you any suggestions of issues you as a community member what me to address please send me a PM. If you have any questions about a topic discussed in this thread please send me a PM directly. Incident: @JOSHGORDON845 was a member of our community who recently came forward about having a medical condition. The community we have here stepped forward to offer support in many different forms. Team managers @IxI-Toffoli-IxI, @francey2325 @iTz_Cattywampus in the AHL made an effort to get Josh into some AHL games as an ECU. Same would apply to his CHL managers, @Mr_e_ous420 @Some fat gezer @TFBMLegitz2 who also went out of their way to accommodate this user's wishes based on a perceived medical issue. Also hats off to a fellow teammate of Josh's, @VGamingWorldYT who stepped to organize a fund raiser as well. These managers and players who stepped up to help Josh are a prime example of how strong our community is and how much compassion we have for one another here on this site. Hats off to @VGamingWorldYT @IxI-Toffoli-IxI @francey2325 @iTz_Cattywampus @Mr_e_ous420 @Some fat gezer and @TFBMLegitz2 for their efforts here on LG. Unfortunately, it has been brought my attention the attention Josh was seeking based on his medical issue There was also some money donated by our community for the cause to Josh. Action For Staff: Tris and I put out a 48 hour warning to Josh requesting the money that was donated be returned to the rightful people. Today Tris and I were approached by Josh's aunt explaining the situation will be handled this week and the money will be returned in full. These actions are not acceptable by us here on LG. Many of us here have been effected by cancer in someway or another. I will be following up with Josh's aunt tomorrow to ensure the money is returned. The player will be issued a capital punishment for conduct unbecoming. At this time, I'd like to ask the community to refrain from any further discussion in regards to this topic. I'd also like to ask we cease communication with Josh. He is currently struggling with other issues at this time and I am a firm believer "two wrong do not make a right". His decision is regretted and I'd appreciate if as a community we accept what has occurred, respect the decision made, and the punishment issued. Any questions, please send me a PM directly. Incident #1: We recently had a conduct issue from another website that splashed over to LG. Former Owner @Illyfilly made some incredibly insensitive comments in regards to the Humboldt incident. Action from Staff: Our code of conduct do not govern what our members and managers do outside of LG and LG sanctioned events. I spoke with Illy, I explained my displeasure with his comments and how as an Owner he is leader in our community. My expectations of Owners and Managers here is very clear when they agree to these positions. They are held to a higher standard than everyone else being in the position they are in within our community. I spoke with him, and determined our code of conduct doesn't directly give punishment for these actions. A warning was given and he was informed his ownership would be reviewed at the end of the season. As a reminder to all managers and Owners. You are leaders within this community and will be held to the highest standard while in the position of Ownership or management. Your action outside of LG may not always result in a direct punishment on the website, but your position is reviewed at the end of each season and now you act on and off our site does play a factor. Incident #2: A secondary comment was reported. My interpretation of the comment was how it was related to this original. Action from Staff: He was confronted again. It resulted in along drawn out discussion. He was informed he would not be eligible to return to Ownership for next season but eligible to play. I made the decision based on his constant comments, and after a warning from me the behavior continued. As stated above, our managers and owners are held to the highest standard and based on this situation I personal do not want him representing LG or myself personally. Incident #3: After being told he would not be eligible to return to Ownership, he decided to make more comments in his discord team chat which is governed by the LG Code of Conduct. Action from Staff: It was determined that three strikes, he was out. After complaints from within his former organization, it was determined the best course of action would be a capital punishment. Conduct issues of this nature are taken extremely serious and are outlined within out code of conduct. Warnings were given, and clearly not taken serious. It is unfortunate it came to this, Illy was an extremely dedicated manager here on LG. But correctly representing the site and and league is extremely important above everything else. 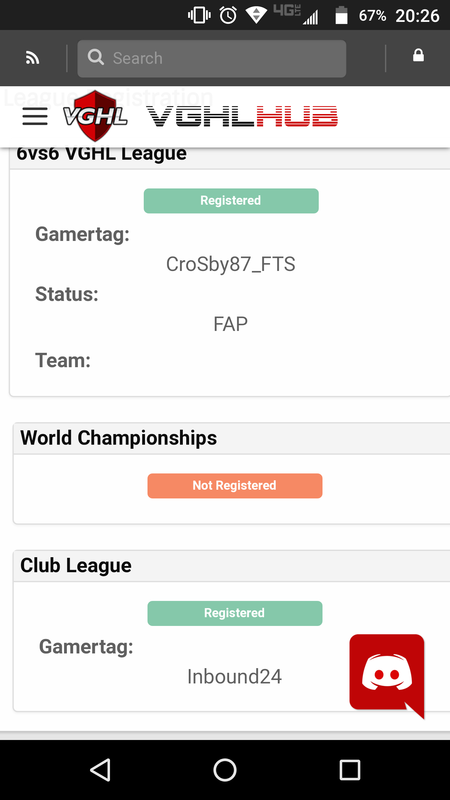 Incident #1: Staff and I received a complaint that the CHL player @CRoSby87_FTS was also playing on the account @Phillyflu73. After investigating the player we found multiple broadband IP matches on LG. The player was contacted by staff to be investigated, and was total he is not eligible to play until he spoke to us. He was given 48 hours to reply or a capital punishment would be given out. The player then quit his team chats, did not show up for any of his scheduled games and told staff he was unable to talk to us. Incident #2: A secondary complaint was sent in by an AHL GM stating the player @CRoSby87_FTS was also the player @Inbound24. That is the image we received from our complaint showing the users linked together on another website. After looking into the user on LG, we found that the player @CRoSby87_FTS and the user @Inbound24 have several broadband IP matches on LG. Staff confronted inbound on PSN last night where he "laughed" the entire time saying he did not know who @CRoSby87_FTS was. We also had additional personal information ties within our system when reviewing both accounts. Actions By Staff: In both situations the user @Inbound24 and @CRoSby87_FTS had games overturned. Right now @CRoSby87_FTS is on a capital punishment as it is being deemed the primary account. The accounts @Inbound24 and @Phillyflu73 are both site ban unable to ever be used on LG again. We are also investigating some Management involvements at the CHL tier in regards to this issue. Any questions can be sent to me directly. Issue: @Kred_14 , AGM of the WBS team decided that during game six of round one in the AHL playoffs to spam players who were playing against his team. The spamming occurred AFTER Springfield Thunderbirds tied the game. The spamming occurred and was persistent for the remainder of the 3rd period and into overtime. Players from Springfield filed complaints about lag and having their game interrupted while trying to playing in sudden death overtime. After speaking with Kred, he was respectful and took responsibility for his actions. He was open and honest about who he spammed(5/6 players on Springfield) and was honest about his opinion on what punishment should be issued for his actions. Actions By Staff: It was determined by a BOG vote that game six is overturned to a 1-0 win for Springfield. It was also determined by the BOG, since Kred was a manager and his actions not only impacted the game experience for the six players on Springfield who felt cheated of a winning opportunity but he also ruined the season of 16 OTHER players on his own Wilkes-Barrie team. A Capital Offence(3 year ban + $100 fine) was issued a long with a lengthy NML added as well. Final Thoughts: First and foremost I cannot express enough how I feel for the players on Wilkes-Barrie who had their season cut short due to their managers insecurities and selfish actions. With that being said, this situation was also completely unfair to the players on the Springfield team who simply showed up to play their games fairly. The punishment issued to the team and the manager in this situation well seem harsh to some of our players and managers but the intent of this ruling is to further prevent this from EVERY occurring again thereby protecting the integrity of the playoffs. As the commissioner, I have had several run ins with Kred which have all been positive. He has shown he can contribute to building successful teams. Unfortunately his poor decision will follow him around for several seasons and this punishment will hopefully open the eyes to everyone who is currently in a position of management to make it extremely clear on what my expectations are.